The advantage of cell merging is that it can also be used with grouping in order to create group header rows that look like real headers with text flowing over multiple columns. 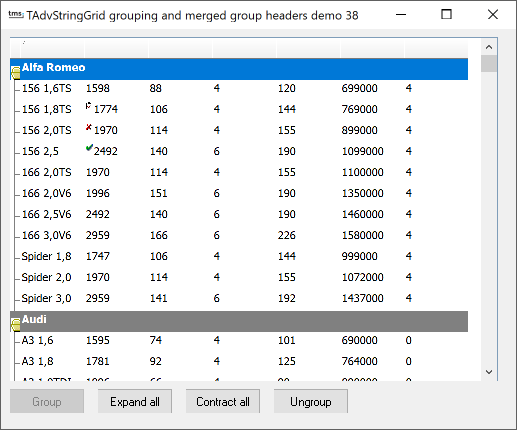 This header grouping is here achieved with a little extra code after the performing of the grouping itself. First a new column is inserted where the grouping expand / collaps nodes will be placed. Secondly, for every row where the grouping function added a node, the full row is merged with the MergeCells method.